Visit the county court in the county where your father's will was probated. If the probate process is complete, your father's will is a matter of public record. You can search the public records held at the courthouse for your father's will to determine whether he left you any assets. If you do not live in or near the county that holds your father's will on record, that does not mean that you cannot access it. Some probate courts maintain a public records database online. This allows you to search for your father's will – and your potential inheritance – without ever leaving your home. Visit your state's unclaimed property database and conduct a search under your father's name. If any assets he left behind after his death went unclaimed, the state manages the money until the rightful heir comes forward. Although some states make an effort to locate the rightful beneficiaries of unclaimed assets, not all have the time and resources to do so. Thus, it's sometimes up to you to locate your unclaimed inheritance. Contact the executor of your father's estate. The executor of your father's will is responsible for managing his assets and debts following his death. This responsibility includes notifying beneficiaries of their inheritances. Because the executor has a copy of your father's will, the executor will know how much of an inheritance, if any, your father set aside for you. Contact the administrator of your father's estate if he died without a will. An administrator's responsibilities are similar to an executor's. When an individual dies without leaving behind a will, the court appoints an administrator to ensure the deceased's assets are distributed according to state law. 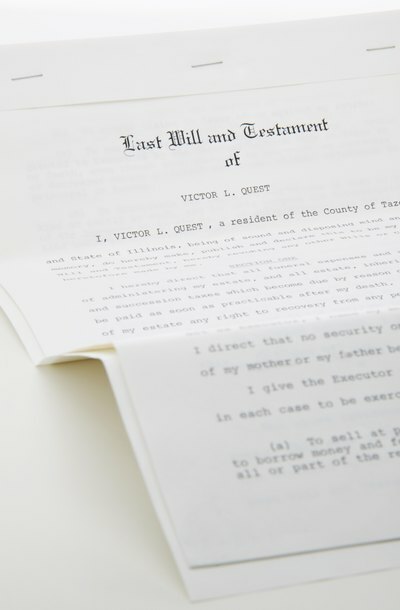 The administrator of your father's estate can explain the contents of your father's estate and how much of that estate you are entitled to under your state's intestate succession laws. Steve F. Bliss Law Offices: What Does An Executor Do? Probate laws in Canada differ somewhat from province to province. The basic structure of the probate process remains the same, however. The executor of an estate is responsible for gathering and inventorying the decedent’s property, paying his debts and the expenses of his estate, and distributing what remains among his beneficiaries. My Mother Died & Has No Will; What Do I Do Next?